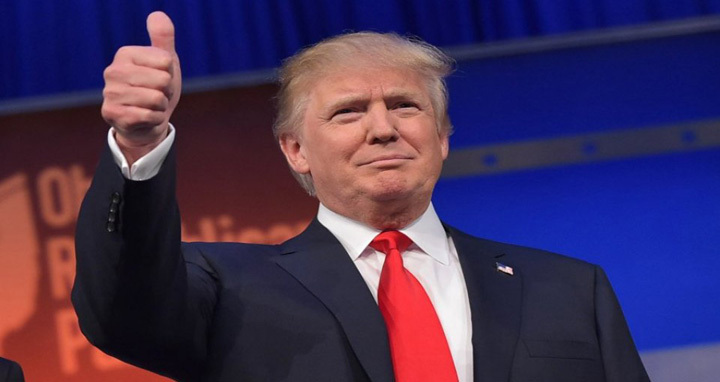 Dhaka, 26 Jan, Abnews: US President Donald Trump is offering a path to citizenship for up to 1.8 million young illegal immigrants but insists on measures that would curb some legal immigration programs and provide a border wall with Mexico, senior White House officials said on Thursday. The White House offered to more than double the number of ‘Dreamers’ - people brought to the country illegally as children—who would be protected from deportation, describing it as a major concession aimed at attracting enough votes for an immigration deal from Democrats. But the plan comes with significant strings attached to appeal to Republicans, including requirements to slash family sponsorship of immigrants, tighten border security and provide billions of dollars in funding for a border wall with Mexico that Trump made one of his major campaign promises. The package was immediately panned by pro-immigration groups, which said the plan was a bad trade-off. It was also slammed by some conservative groups, which decried the expansion of ‘amnesty’ for illegal immigrants. Early reaction from Republicans in the Senate - where the plan may receive a vote in early February - was positive. Conservative Republican Senator Tom Cotton called the plan ‘generous and humane, while also being responsible.’ Republicans narrowly control the chamber by 51-49 and need Democratic votes to pass legislation. The fight over protections for Dreamers, which are set to expire in March, was part of the standoff between Republicans and Democrats in the Senate that resulted in a three-day government shutdown that ended on Monday. They agreed to extend funding until Feb. 8, leaving a small window to come to a deal on immigration. Trump’s plan will help provide guidance for those talks, Republican Senate Majority Leader Mitch McConnell said in a statement.